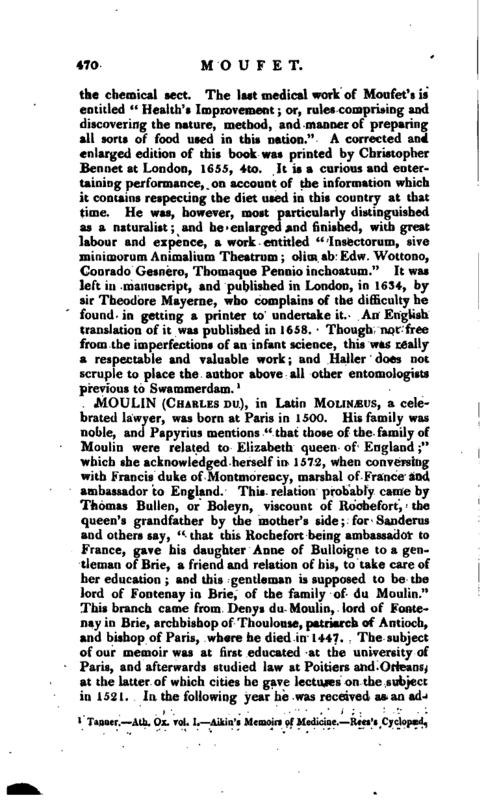 | in or near St. Leonard’s-* parish, Shoreditch, as Wood conjectures, where he received his early education. 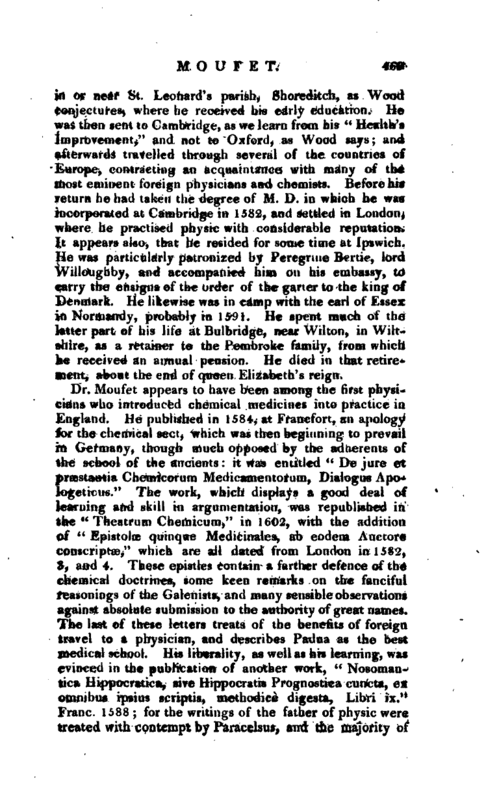 He was then sent to Cambridge, as we learn from his “Health’s Improvement,” and not to Oxford, as Wood says; and afterwards travelled through several of the countries of Europe, contracting an acquaintance with many of the most eminent foreign physicians and chemists. Before his return he had taken the degree of M. D. in which he was incorporated at Cambridge in 1582, and settled in London, where he practised ph) sic with considerable reputation. 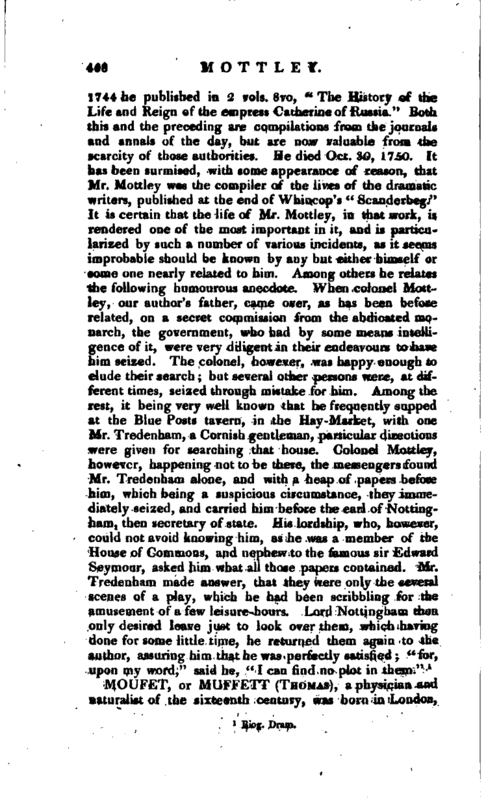 It appears also, that he resided for some time at Ipswich. He was particularly patronized by Peregrine Bertie, lord Willoughby, and accompanied him on his embassy, to carry the ensigns of the order of the ganer to the king of Denmark. He likewise was in camp with the earl of Essex in Normandy, probably in 1591. He spent much of the latter part of his life at Bulbridge, near Wilton, in Wiltshire, as a retainer to the Pembroke family, from which he received an annual pension. He died in that retirement, about the end of queen Elizabeth’s reign. Tanner. —Ath. Ox. vol. I. Aikin’s Memoirs of Medicine. Rees’s Cyelopaed.